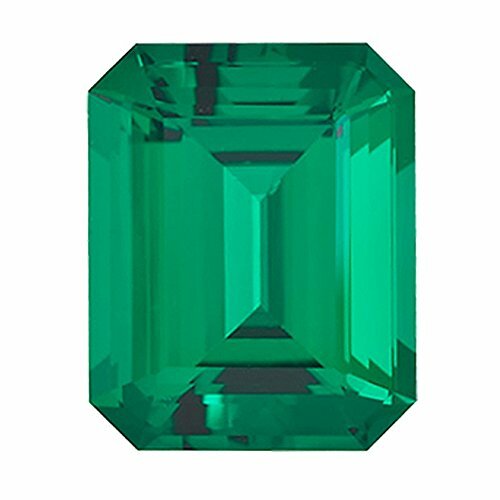 4.54-6.12 Cts of 12x10 mm AAA Emerald-Cut Russian Lab Created Emerald (1 pc) Loose Gemstone | What Should I Say? This loose emerald-cut Russian Lab Created Emerald is the finest AAA quality flawless green colored gem measuring 12x10 mm. Created gemstones are not only affordable but have a flawless color and clarity and great durability. Lab created gemstones are developed in the lab creating the same pressure and temperature, these stones have the same chemical, physical, and optical properties as natural gemstones.